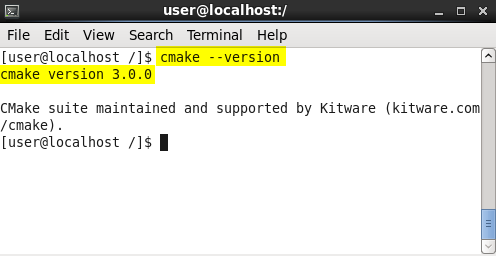 It will take several minutes to build cmake out of source files. 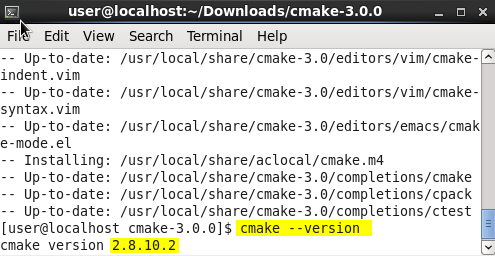 But If you run the command below, you will see the cmake version is still the old 2.82 or earlier version! If you don’t do so, errors will pop up and complain that the share folder is not accessible to centOS! 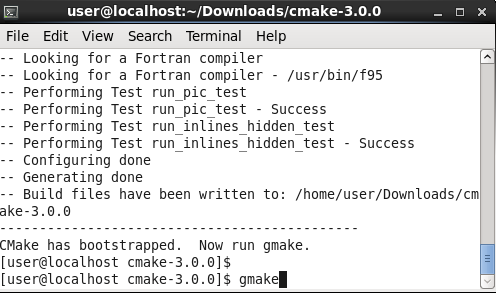 Now, rerun the below command and you will succeed! Hey Przy…. did you log out and back in again? You need to pick up the new .bashrc edits. Works for me (thanks!) 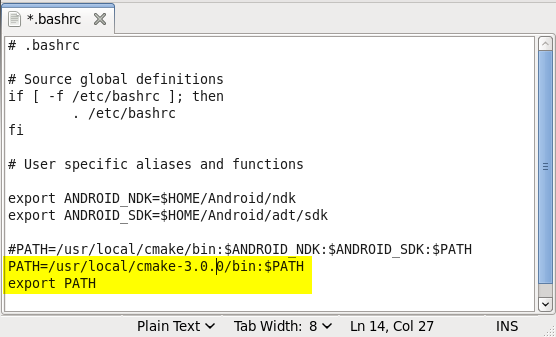 … though warning copying/pasting the cmake -version failed because the - character was odd… writing it out tho shows the correct version.